E is for Explore! : ZAP! Awesome review game that can be used to reinforce important concepts for any subject matter, created by Fifth Grade Rocks, Fifth Grade Rules! Hang library pockets on the wall and insert a notecard with a fun, little task on. 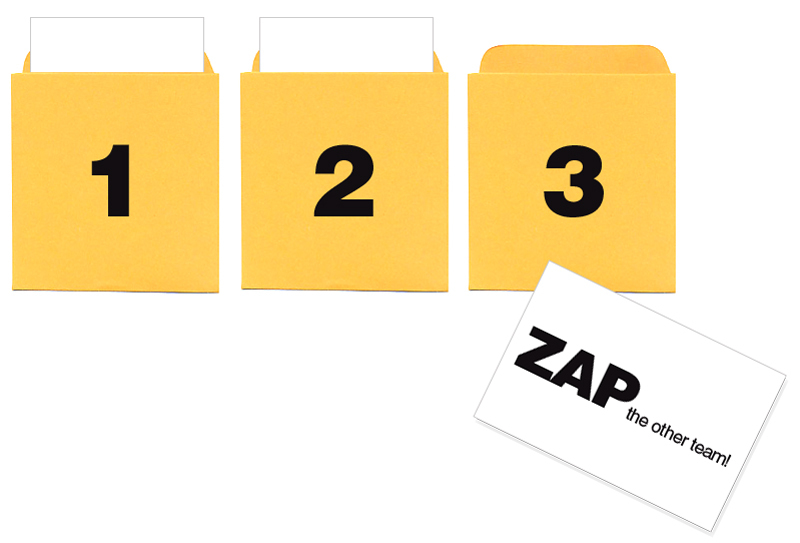 For example, "zap the other team," which means the other team loses all of their points! Students are divided into teams. The teacher asks a question. If the team answers correctly, they pull a card out of one of the library pockets. They must do the task on the card, in order to keep the points they were awarded. The cards could reward them with extra points or have them lose all of their points! I like the one that says, "jump up and down while erasing the other team's points!" I bet the other team loves that! Visit Fifth Grade Rocks, Fifth Grade Rules for a free printable of fun card tasks!